Pesticides: should Scotch fans be concerned? Arguments for and against the benefits of eating organically have been batted back and forth for decades. But when it comes to whisky, what effect – if any – does the use of pesticides on cereal crops have on Scotch? The Whisky Professor gives the answers. I have had a health scare in recent years and, ever since, I’ve been concerned about what I put in my body. I try to eat and drink organic wherever possible, which recently set me thinking about whisky. I’m a big single malt Scotch fan, but until now I’ve never given much thought to the use of pesticides on the cereal crops that are the raw materials to make whisky. What’s your take on this? Is it something I, and people like me, should be concerned about? Does it have any impact on the single malts I love so much? I’d be grateful for any additional resources you could recommend for more in-depth information on the subject. I am sorry to hear of your illness. It is true that an increasing number of people are, quite correctly in my opinion, interested in what might be detrimental to their health. Given that, what’s surprising is that this is the first time I’ve been asked this question! The fact is that malting barley – with the exception of that designated as organic – will have been grown with the use of some agrochemicals. If you are interested in which ones are allowed, here is the approved list as issued by the UK government body responsible for such things, the Chemicals Regulation Directorate (CRD). The list also sets the maximum residue levels for each chemical used, which are in turn governed by UK/EU legislation. These regulations apply to all cereals, including maize and wheat used for grain whisky production. The Scotch Whisky Association (SWA) points out that distilled spirits are considered as being very low-risk with regard to pesticide residues. No Scotch whisky, it adds, has ever tested positive for these residues. In addition, the overarching regulations governing Scotch whisky production mean it has to adhere to UK/EU laws on food safety – which obviously cover pesticides. As I thought you might be interested in why pesticides are needed and when they are used, I asked a farmer friend who supplies malting barley to the whisky industry about his regime. ‘It’s pretty simple,’ he told me. ‘A herbicide for weeds and one, perhaps two, fungicides for disease. We have never needed to use an insecticide. ‘We would use a herbicide after the barley has come through the ground to kill weeds. Normally this would be a mix of two products, a residual and a hormone weed killer, which are tailored to what weeds we have growing or what we will expect from the field’s history. ‘Sometimes we add a protectant fungicide at this stage, depending on the variety. Optic has weak resistance to fungal disease, so it always gets it as a precaution. Concerto, on the other hand, has never needed it. 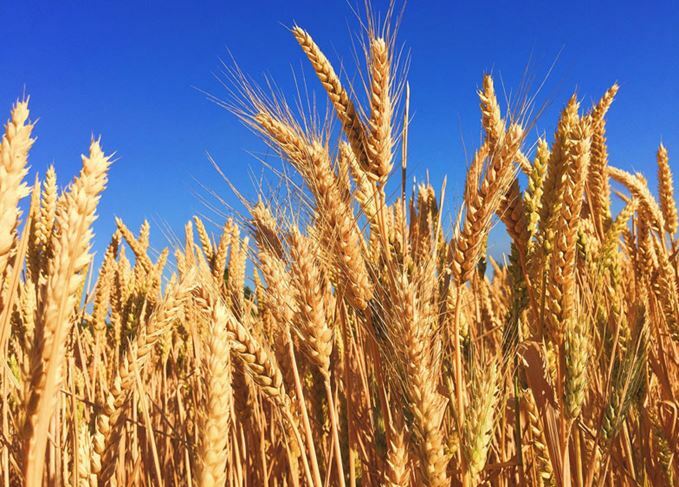 As the barley can be stored for up to 12 months before it is malted, there is a risk of spoilage by insects or mites, while any mould can produce mycotoxin contamination. The barley can therefore be treated to prevent any of that happening, though drying the grains to less than 12% moisture should prevent any mould infection. The Maltsters Association of Great Britain (MAGB) also points out that, during the steeping process, most of the chemical residues will be flushed from the barley, while kilning will also help to destroy them. While there used to be a concern over potential contamination by heavy metals such as lead, which was picked up by the barley from traffic and pollution, this has been in decline thanks to the widespread use of lead-free fuel. The MAGB’s data shows that levels of lead are now often below the detection limit. As well as having to follow the CRD’s list, the MAGB carries out its own sets of tests and monitoring. Even if it is on the list, no pesticide can be used which is deemed to negatively affect processing, quality or flavour of the end product (be that whisky or beer). Any new agrochemical added to the list will also have to go through these tests. The MAGB’s members also collaborate to survey each year’s barley crop to see if there is any risk of contaminants. This annual survey is available on the organisation’s website, www.ukmalt.com. The MAGB says the tests ‘have consistently demonstrated that all residues are well below any legal limits, with the majority of samples containing no detectable residues’. Under the SWA compliance guidelines, each distilling company will operate its own checks during the procurement process. Each firm will then operate its own internal due diligence systems. If you are, however, still concerned about the effect of agrochemicals, there are organic Scotch whiskies available. Benromach, Bruichladdich, Loch Lomond and Springbank all produce organic variants, while Highland Harvest is a long-established organic blended malt. Prince Charles even has one, Highgrove. Why are distillers using roasted malt? Pale, crystal, chocolate… what is roasted malt and why are Scotch distillers so interested in it? Where does the word ‘hogshead’ come from? The curious name for a 245-litre cask could have roots in the wizarding world, says the Prof.
Distilled spirits do not contain gluten, so why are some brands allowed to say it, and some aren’t?